Come quick, mom! 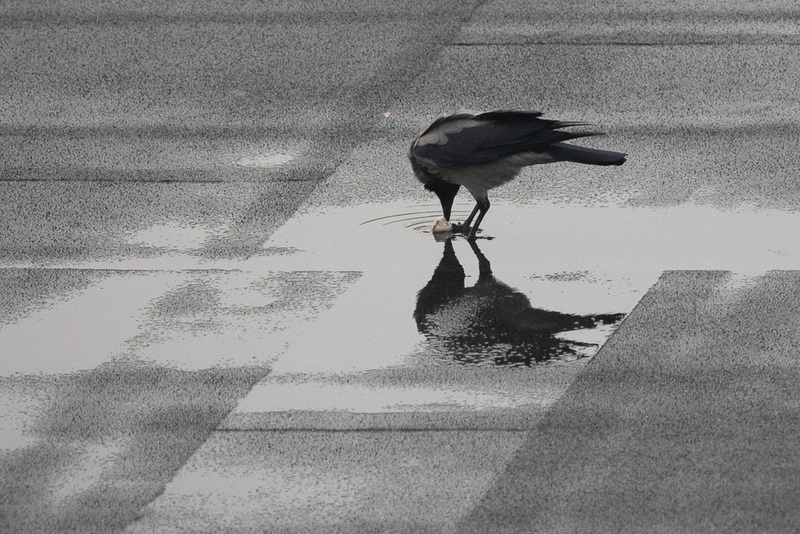 There’s a bird on the roof and it’s looking at itself in the mirror in a puddle and we have to take a picture! Hurry! Photo taken on the morning of 2015 10 16 in Warsaw’s Mokotów using a Canon EOS Digital Rebel XT fitted with the 200mm/f2.8 L-series lens. I think this qualifies as a first professional-grade artistic collaboration between mother and son.